this is a mealtime staple in our house. 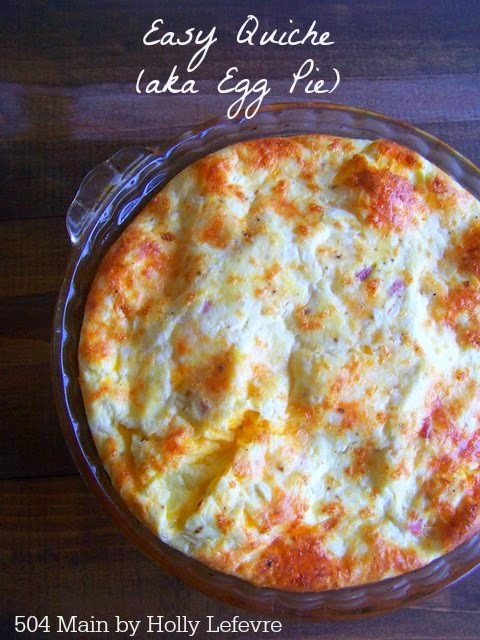 My daughter thought quiche was too fancy, so I started calling it egg pie and now it is her favorite meal. I did discover that I was making a more traditional quiche and no one was eating the crust, so I have eliminated the crust and no one misses it! Pan: I use a 9" pie plate or sometimes a 8 x8 square ceramic dish. I do NOT use any cooking spray, etc. 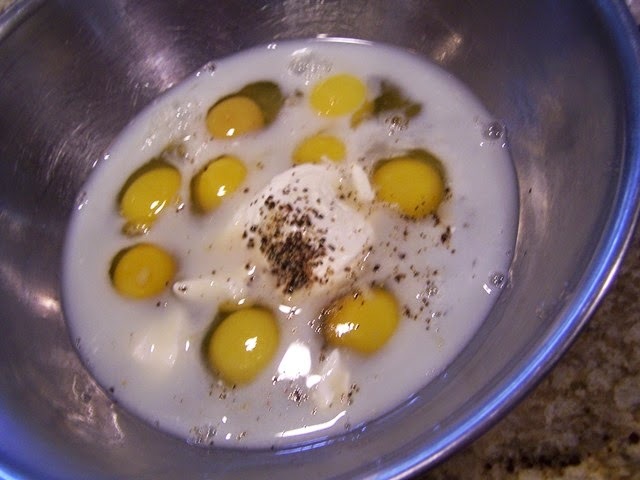 Combine: eggs (cracked of course), milk, sour cream, salt and pepper and whisk to thoroughly combine. 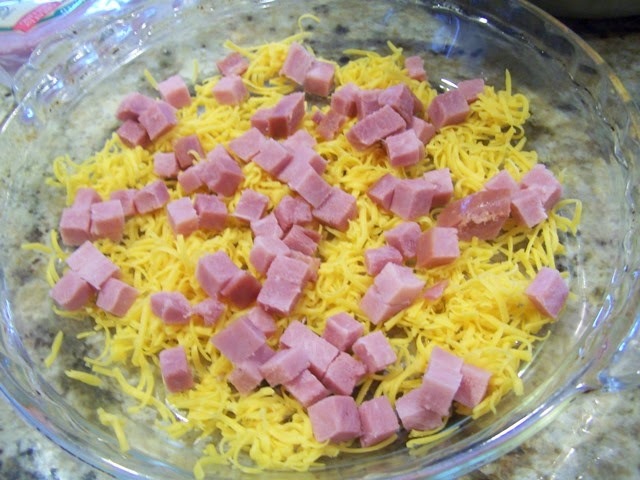 Layer: In the pan I sprinkle the cheese all over the bottom, then add the meat on top, trying to distribute the filling evenly. Bake for 30-35 minutes, until the center is not jiggling. It will look all puffy and gorgeous when it comes out, do not be surprised to see the puff disappear....but it still looks gorgeous. 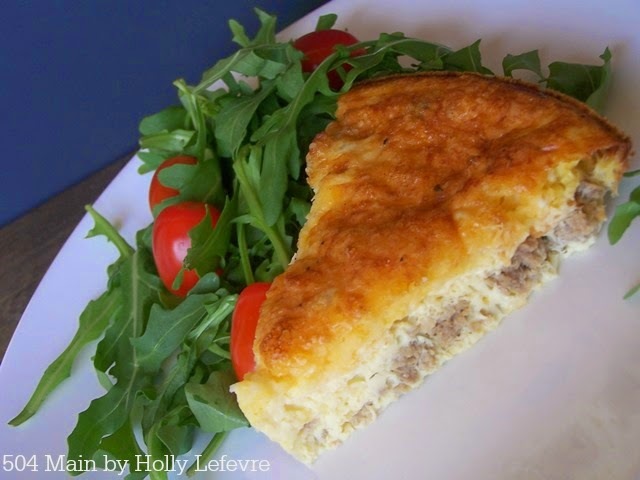 That is it...easy-peasy crustless egg pie, i mean quiche! We eat it for dinner and breakfast and lunch too! 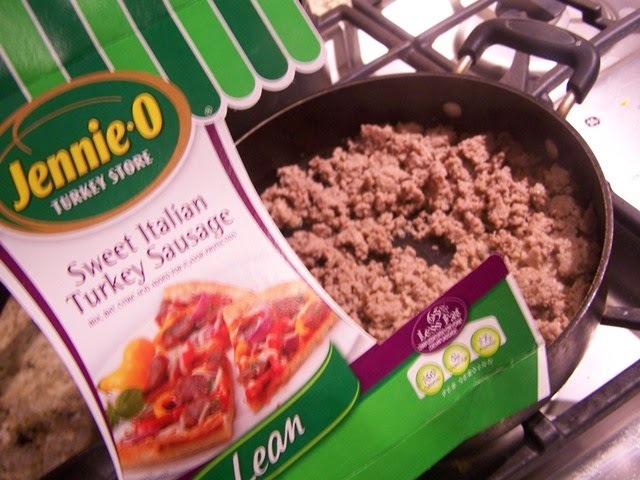 Serve it with some veggies and enjoy! Looks yummy! 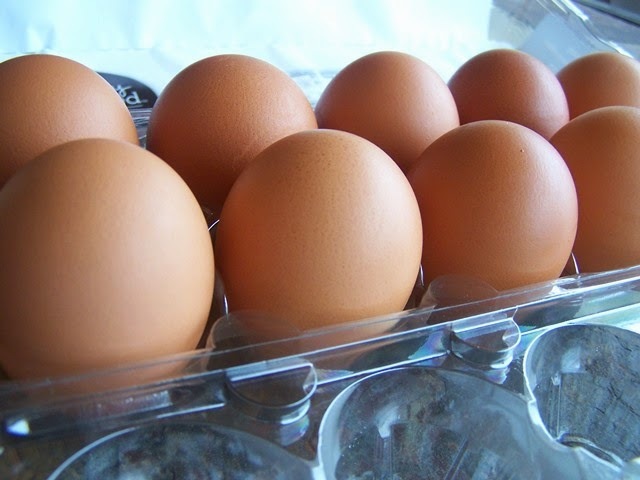 :) and it takes lots of eggs and I've got a ton to use. Oh..this looks so good. 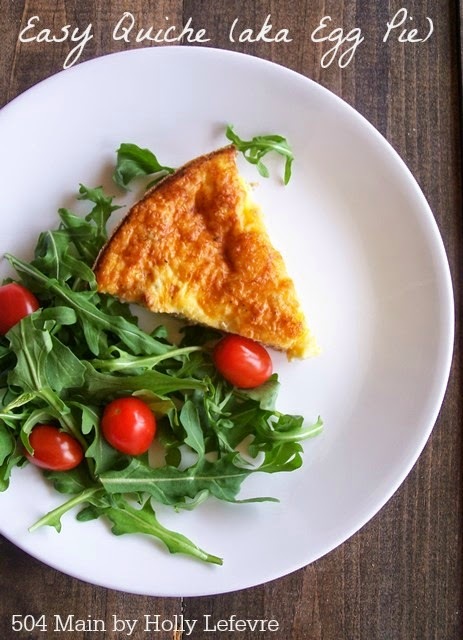 I always avoid making quiche since the crust is too much work. This looks so much easier! Pinning!